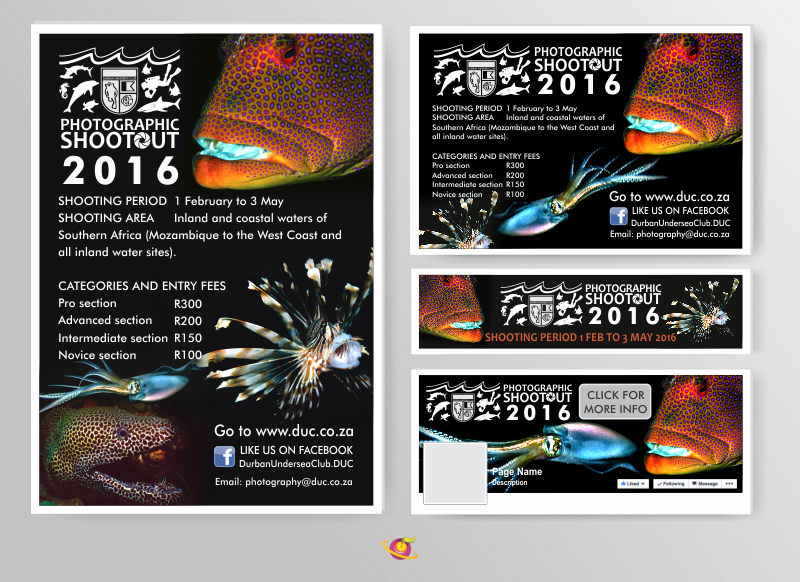 Every year Durban Undersea Club (DUC) hosts a photographic shootout that's open for novice to pro photographers. The entries have to be taken underwater from the inland or coastal waters of Southern Africa. Each year we design their promotional material for this event, usually using images taken by the previous year's winners. The photographs are always amazing as you can see in our designs below. On the left is a poster, and on the right an emailer, online banner and Facebook cover. If you're a keen underwater photographer hobbyist or professional then think about entering. Just visit the DUC Facebook page for more info. Have fun and good luck!